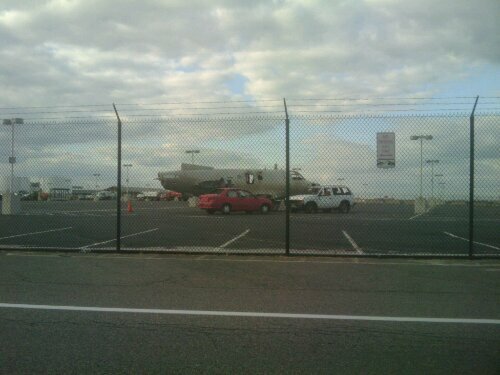 On most major airports there is an old burnt up airplane laying around that the fire department uses as a simulator for fire rescue training. Luckily, most are out of sight of the nervous flyers. All they can see is the plume of smoke rising from the field on the other end of the airport exactly where an airplane would end up if it missed the runway. Not the case in DC where the airplane is in the employee parkinglot... a hundred yards from holding block of runway 01.